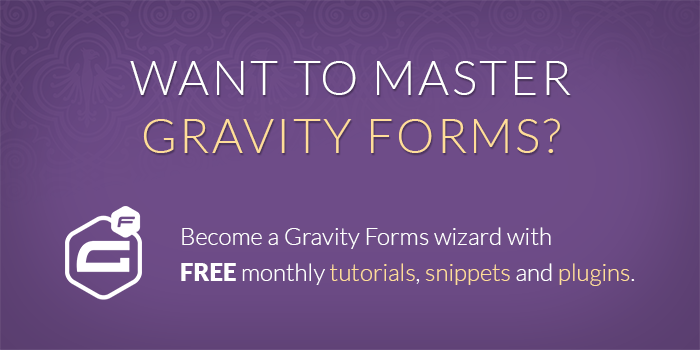 Create coupons for WooCommerce with your Gravity Forms submissions and minimal configuration. * Create coupons via Gravity Forms submissions. Map the coupon code to a field on the GF form and voila! * Create a WooCommerce coupon. Offering a coupon is a great way to incentivize users to fill out any form. Want to provide a compelling incentive for visitors to sign up for your newsletter? Offer them a coupon code for a small discount at your shop. Trying to spread the word about your online store? Offer customers a “Share this Product with a Friend” that will send that friend a discount to be used on their first purchase. Make sure you have Gravity Forms installed and activated. Copy and paste the entire snippet into your theme’s functions.php file. The basic configuration only requires that you specify the which form should be used to generate coupons (form_id), which field’s value should be used as the coupon code (source_field_id), and the type and amount of the coupon. See the Usage Examples and available Parameters below. Creates a flat $10 discount that applies to the entire cart. Whenever form ID 608 is submitted, the value of field ID 1 is used to create a new coupon. Creates a 10% discount that applies to the entire cart. Creates a 10% discount that applies to only to product ID 123. Creates a flat $10 discount that applies to the entire cart. This coupon is can be used with other coupons (we set individual_use to 'no'). The coupon can be used up to 5 times (handled by the usage_limit) and will expire on December 31, 2014 (via the expiry_date). Here is a full list of the available parameters and additional information on how each can be configured. The ID of the form which will be used to create coupons on submission. The ID of the field whose value will be used as the coupon code. The plugin for which you would like to generated a coupon. WooCommerce ('wc'), Easy Digital Downloads ('edd'), and Gravity Forms ('gf') are currently supported. The amount the generated coupon should discount. 'fixed_cart' Applies a flat discount to the entire cart. 'percent' Applies a percentage discount to the entire cart. 'fixed_product' Applies a flat discount to a specific product(s). 'percent_product' Applies a percentage discount to a specific product(s). An array of additional options that can be used to customize the generated coupon. individual_use Set to 'yes' if the coupon cannot be used in conjunction with other coupons. product_ids A comma-delimited list of products (by ID) which need to be in the cart to use this coupon or, for “Product Discounts”, which products are discounted. exclude_product_ids A comma-delimited list of products (by ID) which must not be in the cart to use this coupon or, for “Product Discounts”, which products are not discounted. usage_limit Set how many times this coupon can be used before it is void. Default value is 1. Set to '' for unlimited usage. apply_before_tax Set to 'yes' if the coupon should be applied before calculating cart tax. free_shipping Set to 'yes' if the coupon grants free shipping. The free shipping method must be enabled with the “must use coupon” setting. exclude_sale_items Set to 'yes' if the coupon should not apply to items on sale. product_categories A product must be in this category (use category ID) for the coupon to remain valid or, for “Product Discounts”, products in these categories will be discounted. exclude_product_categories Product must not be in this category (use category ID) for the coupon to remain valid or, for “Product Discounts”, products in these categories will not be discounted. minimum_amount Set the minimum subtotal needed to use the coupon. maximum_amount Set the maximum subtotal allowed when using the coupon. customer_email Specify a list of emails to check against the customer's billing email when an order is placed. Separate email addresses with commas. limit_usage_to_x_items Specify the maximum number of individual items this coupon can apply to when using product discounts. Leave blank to apply to all qualifying items in cart. limit_usage_per_user Specify how many times this coupon can be used by an invidual user. Uses billing email for guests, and user ID for logged in users. 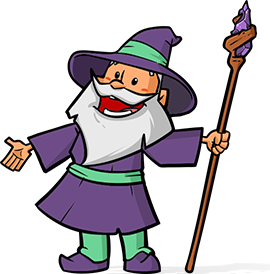 * Parameter descriptions are modified versions of the default help tooltips available in the WooCommerce coupon edit page. If you use it and like it, let us know. We’d love to hear the different ways you found this code useful!